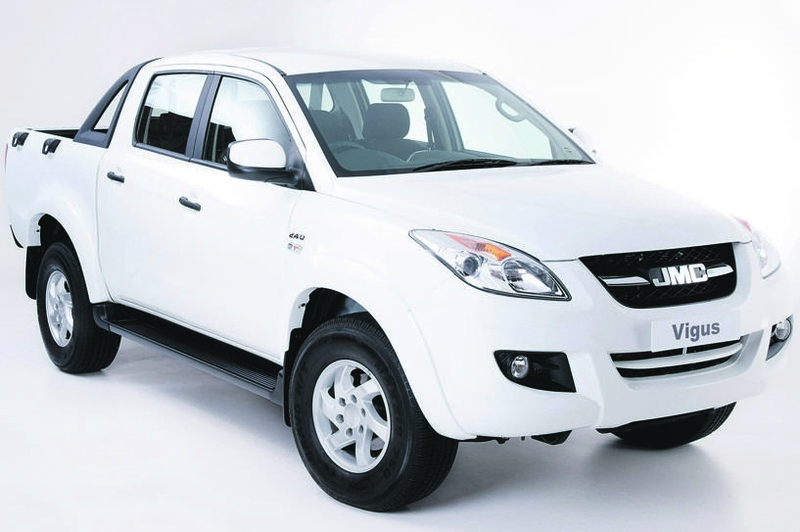 THE JMC Vigus is not a popular vehicle but with a few changes, it might become a force to be reckoned with among Mzansi’s twin-cab bakkie set. Launched here in 2014, the Chinese Vigus has picked up on sales and has earned a reputation for being tough, dependable but user-friendly and comfortable. The version on sale locally is the second generation Vigus. It is also available in Australia, Chile and Uruguay as well as a number of other markets. The name Vigus comes from the word vigour, which means endurance, vitality, strength and the ability to endure – a relevant name for a light commercial vehicle which boasts these properties. And it is well priced – the range starts at R201 880 and the most affordable double cab is priced at R282 880. For just R348 990, adventurous types can get behind the wheel of a four-wheel-drive double cab with a modern, 2,4-litre common rail turbodiesel engine as well as generous comfort, driving and convenience features. With 225mm of ground clearance and powerful engine, its off-road credentials are undisputed. Move up to the SLX flagship and you get a touchscreen display showing the reverse parking sensors. Its engine uses an average of just eight litres every 100km. Regardless of trim level or engine – a 2,4 petrol is also available, the JMC Vigus double cab is sold with a five-year or 100 000km warranty and a five-year/60 000km service plan. A total of seven versions make up the Vigus range and irrespective of engine type, trim level of body style, it is a smart choice for those after a bakkie that does it all with a little extra vigour.